In the early hours of this morning, over 800 volunteers took part in a mass mock terror attack in Manchester, horrifyingly similar to the recent attacks in Brussels and Paris. 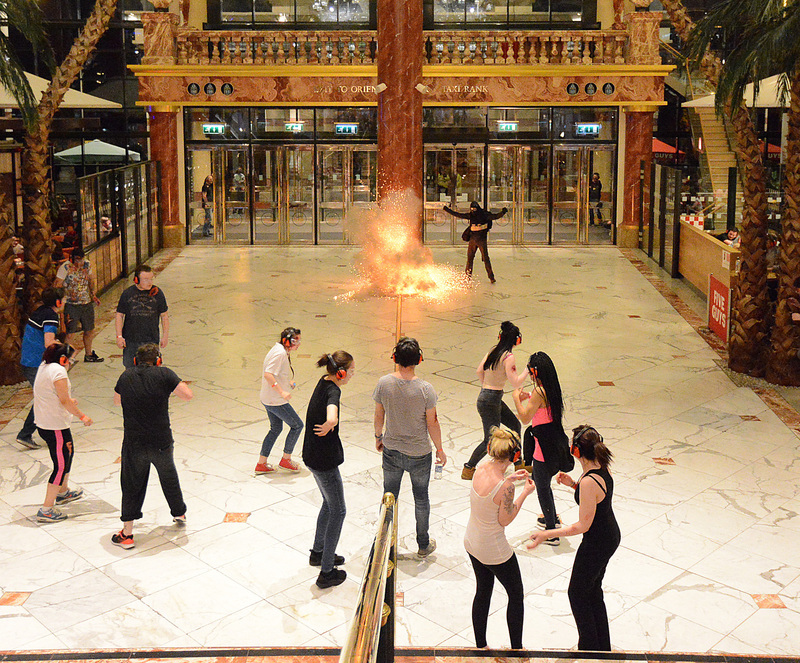 The attack was staged at the Trafford Centre, one of the UK’s largest shopping centres, and saw anti-terror police armed with machine guns testing their response to a potential attack. During the attack, a fake suicide bomber detonated an explosive device in the packed food court at the shopping centre, while volunteers screamed out as if in pain, The Guardian reports. Moments later, a second masked gunman appeared at the entrance to the food court before firing a number of blank rounds. This was closely followed by the arrival of armed police who proceeded to pursue the terrorists until 6am this morning – however, the majority of the exercise was carried out well way from the eyes of the media. The exercise is due to continue tonight and is set to finish at a disused community home in Newton le Willows.